The contents list about says it all–except perhaps that the writing rises to the usual professional level of our contributors to The A Position, as does the video work from David Whyte and Jamie McWilliams. 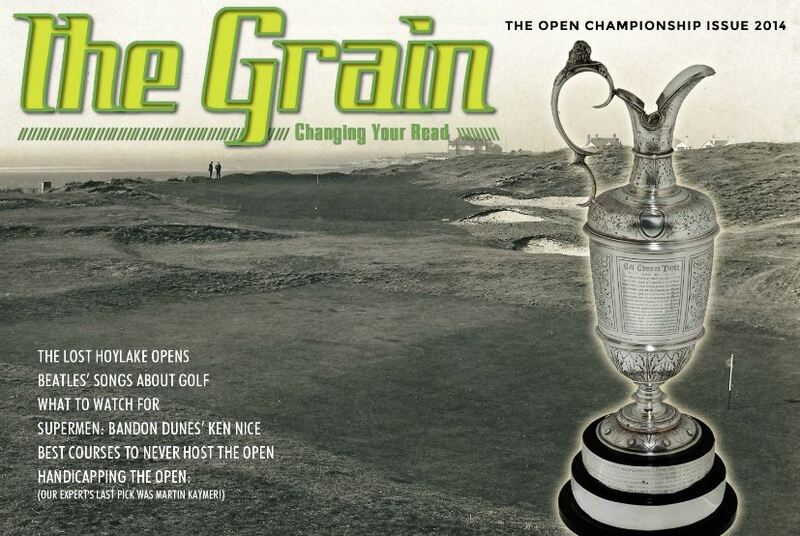 Click here for our latest major e-magazine, The Grain: The Open Championship Issue 2014, and enjoy this year’s contest all the more! Not noted above is Tom Harack’s traversal of six “Royal” courses you can play, while Andy Waple presents a tour of fine links courses not in the Open rota. And there’s a contest opportunity to not only win a trip to play in Myrtle Beach, but to play in Myrtle Beach with Natalie Gulbis.